How do I add files to my course for students to see? 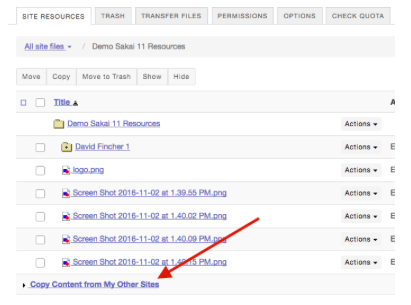 Click here for a PDF tutorial on uploading files and web-links to Sakai. 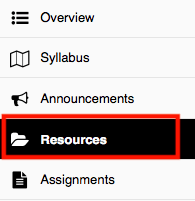 Go to your course site and click on the “Resources” tool in the left hand menu. Click on the drop down menu labeled “Actions” and you will get a series of options. 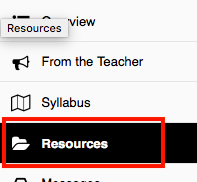 You can create folders to better organize the resources for the students. 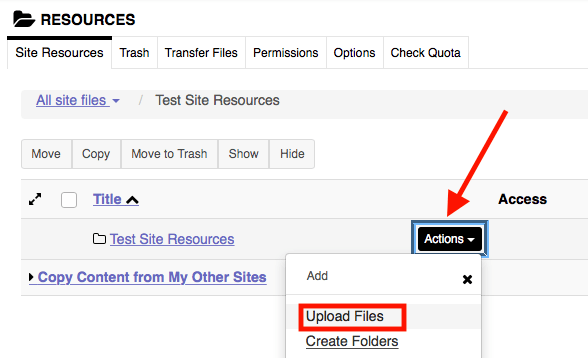 You can also add web links to the folders to share useful web resources, and lastly you can upload files to the folders. 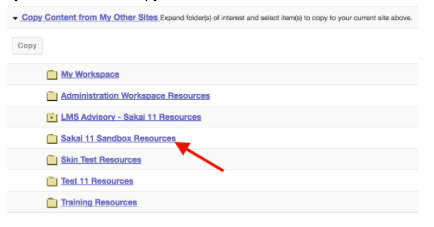 To upload files to Sakai Resources, click “Upload Files” from the dropdown menu. 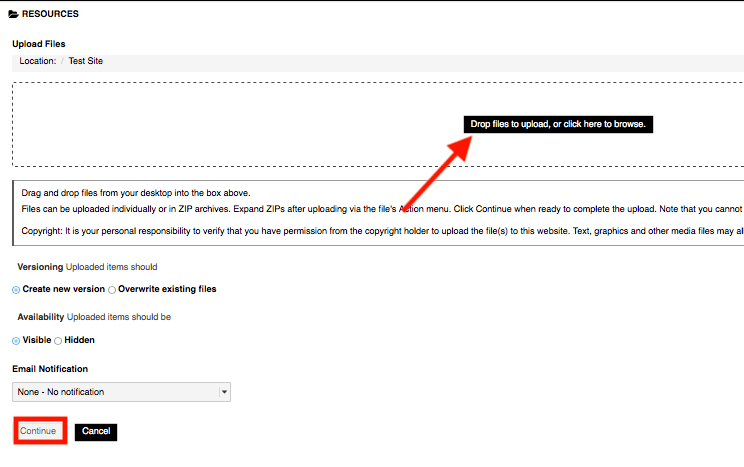 You can upload one or multiple files by dragging them into the grey box (seen below), or you can click on the grey box to open a file browser and select the files from your computer. 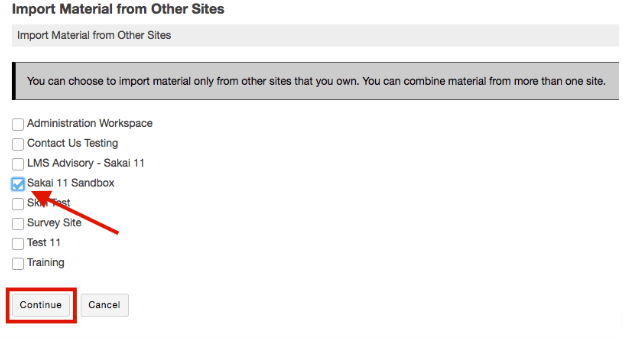 When you are done click “Continue” and the files will be stored to the Resources tool for student viewing. How do I add files to Home/My Workspace Resources so I can share them with several sections of the same course? 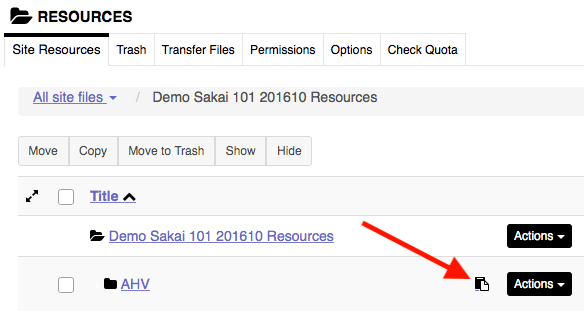 Click here to download a PDF tutorial on saving files to your Sakai Home Page. How do I copy files from My Resources from one course to another? 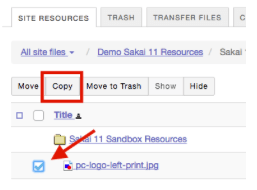 Click here to download a PDF tutorial on copying files in Sakai.